Can I take my A-cat AR15 to a club day and run someone elses 30 round mag through it for the purpose of completing a course? And if no, can I run a course using someone elses E-cat rifle even though im only A-cat endorsed? Not sure about first question but 2nd is a no. Unless it's changed, only the person who is can use the ecat legally is the person it is registered to. mikee, Beaker, seano and 3 others like this. I'm deliberately leaving out the legal-speak and providing you with the bottom line to cut out the fluff. Simple answer is no you can't to both of your questions. A 30-round mag in an unendorsed AR15 rifle means you just "manufactured" an unlawful MSSA. And using someone's e-cat rifle, is also an offence irrespective if you have the right endorsement because the rifle is registered to them. Learn to use your 7-rounders and reload quickly. Depending on your course of fire, As might be more important than a bigger mag. Or just get your E then problem solved. mikee and xtightg like this. Unfortunately No and No which is just BS because you can got to a pistol club and shoots someones glock with a 30 round mag no problem. I'ts a lot of fun to try to keep up with 7 round mags and as has already been pointed out, depending on the course of fire may not be such a disadvantage. 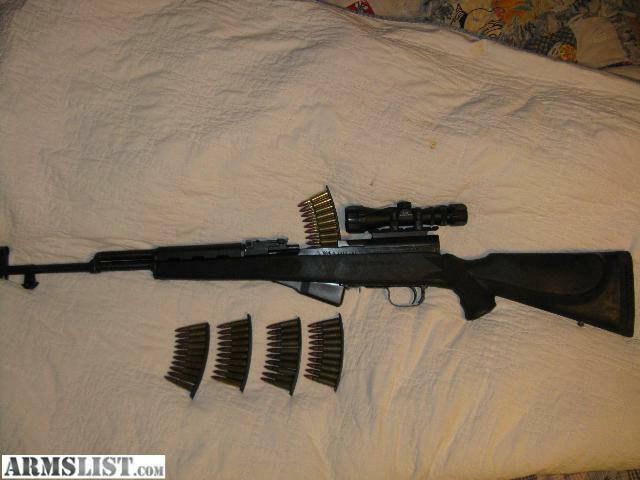 Consider A-cat SKS, 7-rd fixed mag with bolt-hold-open feature, and reload with stripper clips. About Half the movement of a mag change. You can load 7 rounds in the stripper clip even if it's made for 10. Shortening the clip itself will make it work only from one end, so bad idea. Last edited by Cordite; 24-02-2019 at 12:29 AM. Consider A-cat SKS, 7-rd fixed mag with bolt-hold-open feature, and reload with stripper clips. About Half the movement of mag changes. Yes, I cringe when I see big scopes on an SKS, like I also dislike my decision to top scope my SMLE 'H' barrel sporter. The stripper clips are just such a simple and convenient invention by Peter Paul Mauser. As it is, you don't need a big long scope at the ranges you'll use an SKS at. A small red dot, a short scope, a side mount scope, or a forward mounted scout scope are all options compatible with charger loading. I suspect many SKS owners have never used a stripper clip. But SKS mag changes are not as nifty as on the AR15. 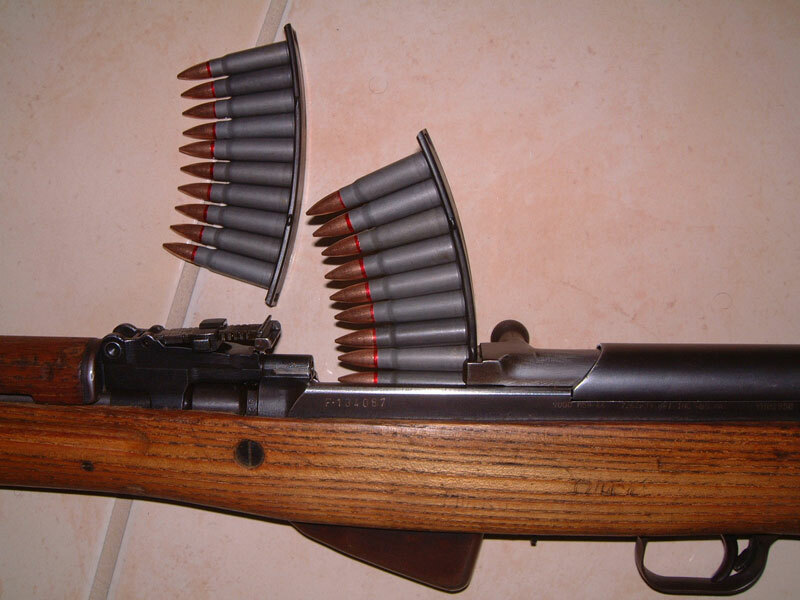 The mags on the SKS were not intended to be changed but were made as removable, fixed magazines, topped up from above. 40mm and xtightg like this. When you get arrested, just say you're a fit and proper person and should be able to own any guns and magazines that you like. Let us know how you get on. You don't have to use your one phone call from jail. (Use that to ring a lawyer.) Let us know later. That's telling you how it is Ryan, no chance of being confused. 300CALMAN and dannyb like this. @Ryan_Songhurst getting your "E" is not really that difficult it just means that some how you are more 'fitter and proper'er" than all those 'a" catters, (don't ask me how that is as even after being vetted 3 x for a,b an e I still think I am the same person neither better or worse, I should ask Systolic to explain maybe ) , the main drawback is you would end up with 2 AR's one "e" version to do your club thing with and the other, "a" version that you can let others use under your supervision. Like the ad says.......................just do it.........................or not!! E endorsement is easy to get if you are fit and proper. I would recommend it. Good opportunity to upgrade your overall secure storage. .223 factory ammo is piss cheap these days. Putting a lot of rounds through an E cat AR will help cement your shooting fundamentals. Good thing with an E endorsement also is you dont have to worry about minimum club attendance to keep it. You can come and go as you please or find the interest. Service rifle competition is a great shooting sport to get into with E cats. IPSC rifle is also great fun. Quick AR15 Question regarding ammo.